Rest on a vacation is as important as the sights you see. With the growing trend of medical and wellness holidays and our newly opened Lyfe Medial center in Rawai, Southern Phuket, it’s now easier than ever to combine a Thai break with health treatments for the new R&R&R! We opened our custom-built facilities this year, 300 meters from Rawai Beach. For the first time, holidaymakers and travelers have an opportunity to work on their health in a more relaxed environment. Phuket is already considered a world-class medical tourism destination, but take in the atmosphere, cuisine and health-focused businesses in the Rawai and Nai Harn area and you have no excuse not to come. We’ve prepared our top 5 reasons on why this stunning area of Southern Phuket is now Thailand’s number one spot to enjoy a wellness vacation. 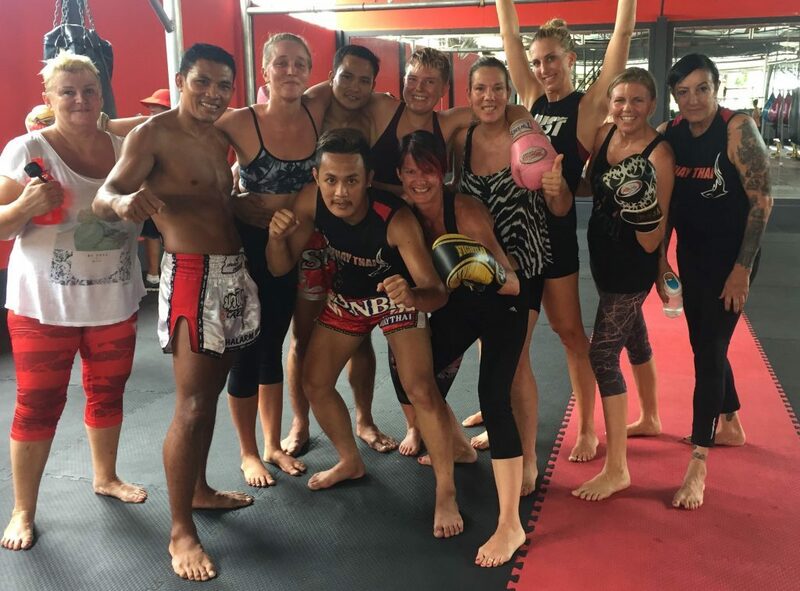 Already a great destination for cleansing, fitness, and Muay Thai training, Rawai has the infrastructure to truly accommodate your recuperation – whether it’s from stress, illness, weight gain or more. Forget Phuket’s garish bars and indulgent temptations, the Rawai area is a peaceful pocket that caters to a more health-focused tourist. Raw Fitness offers drop-in classes for Muay Thai, HIIT and Bikram daily; head to Yoga by Niti if you’re looking to feel more Zen; or visit Nai Harn Gym if you want to pound the treadmill. It’s important on holiday to enjoy yourself – it’s your well-earned break after all – but that doesn’t have to mean pizza poolside or elaborate buffet feasts! In Rawai you can indulge your taste buds with a range of cuisines – from Italian, Greek, Mexican, salads and, of course, delectable Thai flavors. Eating on vacation doesn’t have to mean you let your healthy habits slip. Our favorites include the clean eats at The Shack, beach views (and the chicken satay) at Unni’s, or that morning pick-me-up coffee and a Little Miss Raw treat at Wilson’s. Don’t miss the Penang curry at Green Tamarind – though try to ignore the mammoth burgers on the menu if you’re carb or calorie counting! In your downtime from your wellness efforts, you have the majestic azure waters of Phang Nga Bay to explore. Go island hopping by boat to Phi Phi or the Koh Yao Islands, dive in the marine-life-rich tropical waters, watch the sunset at Promthep Cape, or rest on idyllic Nai Harn beach, minutes from Rawai. There is a creative art scene in Rawai that is often overlooked. Spend some time exploring the boutiques around the Rawai area and you’ll find some gems. Check out Rawai Art Village to buy hand-made artifacts to remind you of your stay, or browse the jewelry on sale at Wilson’s Cafe from local expat artists like Sophie Dubus. If you’re into your Muay Thai, Fight Lab’s clothing ranges is a cool souvenir. Wilson’s stock Intention Jewellery by Sophie Dubus. At Lyfe Medical Wellness, we offer the most detailed diagnostic facilities on Phuket. Alongside this, we have health mapping, anti-aging protocols, hormone replacement therapy, and a wide range of rejuvenation treatments. Expect compliments about your youthfulness on your return as combining treatments at Lyfe Medical with a relaxing beach break truly rejuvenates. Book your appointment as early in your Thailand stay as possible to maximize the health benefits. We can’t wait to help you kick start the new you!